Thank you to all who participated in the 2017 Annual Dream Conference. We look forward to seeing you again next year in sunny Scottsdale, Arizona! Save the dates! The International Association for the Study of Dreams is pleased to announce the confirmation of our keynote speakers for the 2017 Annual Dream Conference. The conference is held from the evening of June 16 through the evening of June 20, 2017. Dreams: CT Scans of Your Love Life. Gayle Delaney, PhD was the Founding President and a Co-Founder of IASD, and is Co-Director of the Delaney & Flowers Dream Center SmartDreams.net. She is Creator of the Dream Interview method and author of Living Your Dreams, Sensual Dreaming, All about Dreams, and Breakthrough Dreaming. Gayle’s work teaching secular, metaphor-based, interpretation has led her to wish all people would intelligently consult their dreams before choosing a new or a first mate! Patricia Garfield, PhD is past President and a co-founder of IASD. Dr. Garfield holds a PhD in clinical psychology from Temple University (1968). Her bestseller Creative Dreaming (1974, 1991) is still in print; available in 15 languages, it is considered a classic. She has written more than a dozen other books on dreams on such topics as: nightmares; children’s dreams; women’s dreams; healing through dreams; grief dreams; and dream-related art. Her fictional books for children include 2016’s Lavender in Larkspur: Katie’s Dream of Romance. G. William Domhoff, PhD is the Distinguished Professor Emeritus and Research Professor in the departments of psychology and sociology at the University of California, Santa Cruz, where he has been teaching since 1965. He is author of the forthcoming book The Emergence of Dreaming: Mind-Wandering, Embodied Simulation, and the Default Network; The Scientific Study of Dreams: Neural Networks, Cognitive Development, and Content Analysis; Finding Meaning in Dreams: A Quantitative Approach; and The Mystique of Dreams: The Search For Utopia Through Senoi Dream Theory. We welcome Dr. Stanley Krippner to our list of featured presenters. Dr. Krippner will be speaking on Shamanic Dreamwalkers: Teachers or Tricksters? Stanley Krippner, PhD is professor of psychology at Saybrook University, San Francisco, and a past president of IASD. A former Director of the Maimonides Medical Center Dream Research Laboratory in Brooklyn NY, his many books include the co-authored Haunted by Combat: Understanding PTSD in War Veterans (2007). He was recipient of the APA Award for Distinguished Contributions to the International Advancement of Psychology, 2002. Stanley will present information from interviews with shamans as well as cases suggestive of two viewpoints. Some shamans claim to be instructed by “spirits” as they carry out their endeavors to help and to heal community members. However, some shamans say that they are “dreamwalkers” who enter the dreams of the initiates they are training. The Venue • The Wyndham Anaheim Garden Grove, 12021 Harbor Blvd, Anaheim, CA 92840. 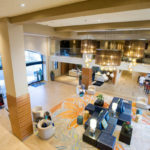 The venue is in a perfect location for attendees who want to arrive or stay over a few days to vacation in southern California or visit the exciting attractions nearby. 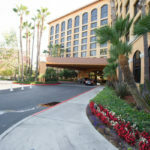 The hotel is 2.2 miles from Disneyland® park, 9 miles from Knott’s Berry Farm and 18 miles from the beaches. 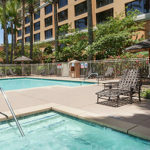 It is accessible from the LAX international airport or the John Wayne Airport (Orange County). We have negotiated the same discount rate for 3 days before and after the conference for attendees who want to take advantage of the local attractions. The Conference will feature world-renowned keynote speakers and over 130 presenters from around the globe, an opening reception, a Dream Art Exhibition and reception, the annual PSI Dreaming Contest, and the ever popular costume Dream Ball and other special events appropriate to the enjoyment of the location.